Well, anybody who was excited to see Park Hae-jin playing multiple roles in mystery-romance drama Four Men, the so-called prequel to his action-comedy Man to Man, can just take that excitement and swallow it, because SBS has decided to shelve the project, according to an official statement given today. The stated reasons were vague, merely that there were problems with scheduling the show, and ultimately the broadcaster opted not to do so at all. Moreover, PD Oh Jin-seok (an SBS-contracted PD who previously directed Yong-pal and My Sassy Girl) is officially off the project. Asked whether Four Men has a chance at revival at another broadcaster, the SBS rep merely stated that they don’t know. I suppose it’s always a possibility, though it’s rare for something that was publicly and officially dropped to be picked up by someone else. Initially, the production team had plans to begin filming in November and pre-produce the drama in its entirety. Park Hae-jin was cast in the lead role—er, four of them, playing a man who resembles the heroine’s lost love, as well as twins and another mysterious identity. Nana (The Good Wife) was cast as his detective love interest, Kwak Shi-yang (Chicago Typewriter) as another detective and Park Hae-jin’s friend, and Kyung Su-jin (Weightlifting Fairy Kim Bok-ju) as a reporter and Nana’s friend. I don’t know that I find SBS’s explanation very convincing (they couldn’t figure out when to schedule it so they just… killed the project? Instead of waiting, when it’s pre-produced anyway? ), but there isn’t much more we can get out of that brief statement. Welp. What could have been. Weird. Wonder why... Could it be that since Man x Man was not a super ratings hit they did not want to go on with this? Problems with scheduling is always the excuse. If "Man to Man" was a rating hit this sequel would attract investors. I think SBS is not willing to finance it. Probably, but it feels like a nasty way to do business since they could of informed everyone involved ages ago if rating concerns was the deciding factor. I was looking forward to seeing Park hae-jin, more than any overwhelming interest in the project. He could have (possibly)had another drama lined up in the time he prepared for this one. Boo!! Hiss! They also recently opted out of producing KES's upcoming drama, citing it was gonna be too expensive (like Hollywood blockbuster movie expensive). Could be a simlar case here, but the director also leaving could hint at other problems. Oh well, I wasn't gonna watch this anyway. The premise sounded too messy imo. I wish people would write out the full names of people or names of shows if they aren't written about in the actual article :( If they are talking about someone that was mentioned in the article, that's fine but otherwise it makes it really hard to figure out what most people are talking about. Nearly everyone on this or any other drama site refers to Kim Eun Sook as KES. Sorry, but it's pretty well known. It's only a few more letters, what would it hurt to use them so that everyone reading your comment was on the same page? Not trying to be rude, but it seems that way nobody would have to be confused (I mean this in a general sense, not just with Kim Eun Sook). But considering someone else was also confused shows not everyone knew who you were speaking of. Even seeing the full names I have to google who people are at times. I had to look up who Kim Eun-Sook is because I didn't know her name off the top of my head, so seeing just KES makes it almost impossible for me to know who that would have been. I'm not trying to call you out! Please don't think that. I just tend to not understand everyones comments when the names aren't fully written out, which can be aggravating. I am so happy that JB commented herself on this thread. Who is JB!? What kind of question is that? Joking aside, I felt oftentimes frustrated by not knowing what dramas people where talking about. I have quite a vast repertoire now, but there are still lots and lots of dramas I didn't get to see or simply don't automatically cross my mind when I see the acronym. The most recent (cold) case is GoT. I tried so hard but I still couldn't figure what God must be that. There was that COMMENTING POLICY. Maybe such a rule should be added in it. 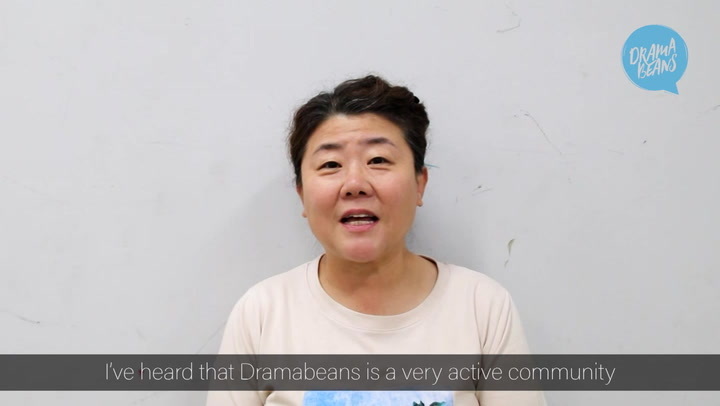 (I think any set of laws should be modifiable if the changes in the society require it) and a link to it to be set in the ”Write a comment” box or in the close proximity as a reminder, because an important part of my Dramabeans experience and one of the reasons for my coming here is represented by the comments, the community. These are just my two cents. ^^ Yeah, I'm not gonna stop using abbreviations in causal internet comments bc of a rule or cause two people didn't get it when a simple google search can do the trick 99.9% of the time. The most effort you'd have to exert is typing "KES?" and someone clarifying 0.5 seconds later like right above. I'll keep this in mind for future posts, but otherwise, this topic really isn't worth the discourse it's getting. Thanks for commenting! Also, I miss the way that the site used to highlight your comment in yellow. I think you are deserving of a little fanfare, and we don't want to miss your comments. If you have an important point to make, don't try to be subtle or clever. Use a pile driver. Hit the point once. Then come back and hit it again. Then hit it a third time -- a tremendous whack. I'd like to beat the dead horse one more time with feeling -- and numbers. (For me, a pie chart would work much better.) My deepest apologies in advance to all the number crunchers in the house. Mathematics and numbers are my weakest suit. To make a quick-and-dirty point, assume that DB gets 100,000 hits and 10,000 posts per month from 1,000 unique visitors. That works out to a measly 10 posts per month per capita -- but 100 views per unique visitor per month. A single post containing difficult-to-decipher abbreviations has the worst-case potential to inconvenience / alienate / fail to communicate its message to 1,000 individual readers. Now imagine yourself wading through 10,000 unintelligible posts per month if every one of them were to contain mystery abbreviations. Even a rate of 1 percent duds works out to 100 garbled messages (an average of 3 per day) -- irritating as many as 1,000 fellow Beanies -- per month. Yikes. There goes the signal-to-noise ratio at DramaBeans. It is instructive to calculate how much time is wasted per reader @1 minute per failed message, based on the above 1 percent dud rate of 100 posts per month. 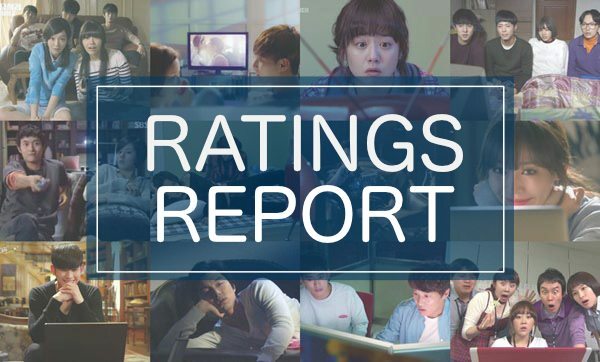 It works out to roughly 1.5 hour-long Kdrama episodes per viewer. Ouch! The collective monthly guesstimate is sobering. Thanks for your plea for clarity, TrinPie. There are times when I feel like throwing up my hands and shouting "TC;DR!" (Too Confusing; Didn't Read). Instead, I just skip the alphabet soup and quietly go on to the next intelligible post. Alas, the poster's time and effort was wasted. I imagine that the reason we're all beavering away at our keyboards is to exchange ideas. Spelling out names and titles in full is a surefire way to enable fellow Kdrama fans to understand exactly what we mean. It is considerate. It is kind. It is effective. And it is in our own best interest if we're serious about having enjoyable, productive conversations with people from all over the world who love Kdrama as much as we do ourselves. Because Beanies are such a diverse subset of Earth's citizens, we cannot assume that everyone knows everything on the subject. Thus we need to take special care to ensure that what we say -- and how we say it -- is truly what we mean. It's the neighborly thing to do. It is standard practice in American English (or at least it used to be) to spell out a proper name or title the first time it is used, followed by its abbreviation or a short form in parentheses. I admit that that approach would be overkill on this forum. So how about a compromise? Spell it out the first time it appears in your post, and after that, (maybe) abbreviate it. I admit that I'm guilty of using abbreviated drama titles on occasion, but it's normally after spelling them out and putting them in caps so they stand out. In fact, I often spell out alternate titles, too (e.g., MAN LIVING AT OUR HOUSE / SWEET STRANGER AND ME). Chicago Typewriter to be confiscated as part of...the internet safety act? The Act. 'itself' will be capitalized, double meaning, on approval. Goes to see what the fuss of Ojakgyo Brothers is all about. Thank you for saying it so beautifully. You objective and dispassionate tone makes me a little bit ashamed for the answer I wrote a few seconds earlier, before reading what you wrote. I let emotions get the best of me. I am going under a rock to keep my fingers away from the keyboard for a while. Repent and learn. Repent and learn. My dramawishes will be fulfilled. No worries to people using abbreviations! It's not against any rules. We couldn't enforce a rule like that, anyway. The plea for clarity is just that, a plea for people who use abbreviations a lot to maybe sometimes write out full titles and names, because it's confusing for others. There is no morality attached to this choice! Just a wish for conversations to be clear and inclusive. I agree with Callie. When she said KES I knew who she was referring to right away because of the recent news surrounding her new drama (who expensive it would be to produce, the casts, storyline etc.). It's not someone that has been dormant for 10 years and she suddenly pulled that accronym out. And I am not even an avid follower of K-News to know that info. I've only recently started watching k-drama (only a year ago) but I've managed to figure out most if not all the accronyms for shows and names (Even shows I've never watched and people I do not know). Like Callie said, it takes little effort and most people who read these comments are already in the know, and if not, someone would gladly clarify. Hardly a big issue and I don't fault anyone for using accronyms. If you do not know that person even if someone uses the full name, then it won't matter much that you don't know if someone uses an accronym either. ...Oh...so that's it. It's typed or copy-and-pasted. The reason I know this abbreviation: @Ek Ladhki Thi is Kim Eun-sooks no 1 fan. Also I love Heirs, but is understand the feeling even DOTS is tricky and has a double meaning even when it appears as D.O.T.S., but yeah it's tricky! And this is how two posts that are not related to any ongoing drama are the most commented at the moment. The story sounded...interesting. But, I was more in it for Park Hae-jin. Well, I hope he finds another project soon so we can get him back on our screens ASAP! Did the director choose to leave on his own or did SBS lay down the law and decide both they're not airing it and he couldn't work on it? He usually works with SBS and they probably wouldn't have been happy with him choosing to direct this for another network. The director had been attached to this project from the very beginning so it seems like he really wanted to work on it. The director is in contract with SBS so he can't choose to stay! The plot for this prequel sounds weird so I'm not surprised. Who want to watch a drama where all relationships are doomed? Because we get to see 4x PHJ!!! That and I watch anything promising a twin, doppleganger of one of my fav. Huh? What? Why? Noooo oppa!!! We miss you<<<<<>>>>>, and knows I won't feel any better. ): Was looking forward to this as the cast seem to hold their own very well. Huh. They handled that sensitively. Also, I'm waiting for the Park Hae-jin fan girls to show up and throw a fit. I'm one and going on a letterwriting campaign!!! See below! Honestly, I was more excited for this cast than I was for Man x man and am sorely disappointed. I'm waiting for @azzo1 to show up to reassure us that Oppa's okay and that he'll come back to us soon! Oppa is okay, don't worry and he will come back to us soon, he will, right? RIGHT? To be honest, I never could understand why they gave it a greenlight in the first place. Not to say that it couldn't have worked, but a prequel to a show that aired on another channel and wasn't exactly a ratings hit doesn't seem like the best bet. Netflix isn't involved in making show, they just bought the rights to stream it instead of Dramafever or Viki. Half of the "originals" you see are just shows they've bought from other countries. They have started producing their own dramas like My Only Love Song and jdramas Million Yen Women & Hibana Spark but Man to Man wasn't one of them. Yes, I realize that 99.9% of what they have is produced elsewhere, but that's the thing, they have tons of money and resources to actually produce this one. If Man x Man was popular enough, then maybe??? And My Only Love Song is a great example of what they could do. They don't produce My Only Love Song. The production team, after fail to consider with other channels sold it as exclusive drama. tvN would be a good choice, but after what happened with CITT, I don't think PHJ and tvN will reconcile anytime soon. Man x Man wasn't a hit, so it could be one of many reasons. This sounds like an ambitious project, so the risks are there; it could be either hit or miss. With PD dropped out from this project as well, I guess some negotiations weren't went well. I have been thinking especially after CITT, PHJ and his agency might be too picky /fussy/demanding in certain things but no one want to really accommodate to their demands especially PHJ is also not an A-lister.I could be wrong but that's just my guess, since the excuse of scheduling problem doesn't make sense at all. Note that the production behind of this drama (as well as Man x Man) is his agency, Mountain Movement. The whole CITT debacle made it pretty clear that the guy has a massive ego. I don't care if your the male lead, you don't throw your cast & crew under the bus and get your company involved when a show is still airing to complain that you're not getting enough screen time. That's totally unprofessional. To make it clear, I have no intention to bring about CITT mess again, because it's just debatable and most of us have our own opinions regarding this matter.My point was maybe he doesn't want the same thing happen again but sometimes being too picky can work as advantage or disadvantage on him. I also don't know what actually happened that cause SBS to shelve this project, so this is only my guess. I likes him a lot too, so if this drama won't happen, hopefully there will be other project awaiting for him. Agree. If people don't already know, his last 3 productions are all funded and produced by his own agency. Also this storyline is created so narcissistic, who will want it? (v much like man 2 man) There's a reason why other production companies won't work with him, the main 3 stations don't cast him, TVN will likely never use him again and even his trusted OCN which did decent ratings with their Bad Guy drama with him changed the entire cast for the sequel (Btw OCN is also owned by CJ who owns TVN as well). The only shot he has is with JTBC now. For the sake of the other actors in the production, I hope they find a broadcaster. P.s - all that hoohah over CITT movie and the press they did for it... wonder if the movie will ever come out. He s getting older by the day... the student role better come out soon. P.s - I can already foresee his army of delusional fangirls spew hate at this post. Here's your first one Jenna. @jin _ yep. was expecting it so not surprised. Truth will unveil itself in the months to come. Lets see where the movie heads (I think they were slating it for a year end release) and this "confirmed production" materializes with a home after all. If it all falls apart, the "conspiracy theory" holds up then. Regardless of whose fault it is, Park Hae-jin has for sure ruined his reputation. People will be reluctant to work with him. Honestly not surprised for this but still a little sad as I wouldn't get to watch Nana. That's very sad, is not it? What Hae Jin did is actually the right thing that anyone in this position should have done. But then it brings more hardship to the victim more than ever. "Victim" - are you kidding me? Thanks to the debacle, he booked more CFs in Korea than he ever did in his entire career. It was so expertly "milked" - I must admit the PR and marketing was brilliant to take advantage of the situation. Thank goodness the other actors went unscathed. Kim Go Eun specially went on to do Goblin with Gong Yoo (TVN) and is now highly sought after, Seo Kang Joon went on to TVN leadlinign Entourage (which is horrid TBH) then now back to the big 3 and doing the Robot show with Gong Seung Eun and KBS, Nam Joo Hyuk and Lee Sung Kyung went on to date (haha) and also saw forays into movies and more with TVN (NJH). They survived the bus - thankfully. The one who comment before me said a lot about truth and fact but she really dont know a thing. Center Pole and 7/11 sign with PHJ since 12/2015. 2 months before anything happened but her version of truth are of course so difference. Phj appear in 2 dramas with 50% rating and you who came from a star, but in she said it like he some no name actor. I *completely* agree. The whole thing just made me feel generally sorry for the actors who did handle it professionally, and got the brunt of criticism as it was (ahem, KGE). I think it speaks VOLUMES that the entire cast of CITT including the producer and director is still backed heavily by TVN. Except our main star here. Also @yyishere's OSTs were already pretty awesome! The final ost for Four Men is out on my wall. It's really sad. Thanks for the update on FOUR MEN, javabeans. This is seriously frustrating. Doggone it, Jo Hyun-jae was announced as the villain less than two weeks ago! Is there some kind of evil conspiracy against casting him as a bad guy?! Curses, foiled again! At least we got to see him for 2.3 minutes in HOSPITAL SHIP. All I can do is cross my fingers and hope that a better villain role in a solid drama comes along for him. Maybe even a nice juicy sageuk villain like Song In (THE KING LOVES) or Song Sabu, Lord Jo, or Choongwongoon (REBEL). The excuses for canning the project sound half-baked. Lord only knows what's going on behind the scenes. I am like u and was looking forward to Jo Hyun Jae more than anything else. Actually I liked him in Hospital Ship. Too bad it was just a cameo because his character was pretty interesting. I hope he gets another drama soon. This makes me so angry. Issues with schedule is such a poor excuse, especially after marketing the drama and its casting for the few past months. I also don't buy the whole ratings/prequel and money reasons. It's not like the drama appeared out of nowhere two weeks ago...SBS could have pulled the plug on it a long time ago and even turn the project down when they first considered it. At this point, I'm leaning more toward the political decision (as in someone in the drama pissed off someone really important at/to SBS and they decided to get revenge this way) than a simple business decision. It makes me even more angry thinking about all the people tied down to the project who probably had to say no on others for the past few months. SBS considered it in the first place as many here already pointed out they are in the red. So to have a drama that comes with investment to lessen their financial interest will definitely bring them to the table. Guess end of the day, maybe they too think the story can't sell. Schedule conflict is the lamest excuse for sure. Seeing a lot of Man to Man wasn't a hit comments. Irrespective of Korean showing, which wouldn't be relevant to Netflix, does anyone actually have any idea how it went on Netflix? I only ask as I didn't think they published viewing figures for any of their stuff (all internal and private). Netflix is super-secretive and never publishes viewing figures, so good luck figuring that out. That said, they did immediately license another Park Hae Jin show, Bad Guys, right after Man to Man so that always made me think it did well (lol). Anyhow, this Man to Man wasn't a hit stuff is bunk. Man to Man was a modest hit. People might have had high expectations for it to be a runaway hit, but it started and ended at 4% and averaged 3% during the run. Nothing to sneeze at for a cable channel, particularly with all the flops and general low ratings recently. That's what I meant with Netflix. It's a bit like many US films now - the bigger market is overseas. Something like Alice in Wonderland domestic take is less than a 1/3rd of the overall. So Netflix (& other ways to show Korean shows to a wider audience) might change the perception of what is a hit and what isn't. Exactly ! Look at Bride of the Water God , it's very popular but it got the lowest rating of all time in cable tv. That's weird. Too bad. I hope Nana comes back to dramaland soon. Hope so. Or she is already protesting in front of the company. Can't say I'm devastated over this. I do hope to see Park Haejin in a brand new project worthy of his talent soon! But are YOU OK, Dramabeans? You made us hot for the shop and then took it away. T_T and I'm fairly sure some comments disappeared while you were out. Good luck! Hmm. Something in the water ain't clean.. I was hoping to get two portions of oppa this year. This is sad. this is so sad and disappointing for us fans and i hope/pray that one of the other networks will take it and not canned this since the story seems fun and exciting! fingers crossed, nothing is impossible with the Divine! park hae jin fighting/hwaiting! Well, that's a bummer. Idk what I was expecting from this drama other than Park Hae-jin x4, because it's kinda been off my radar, but this is still disappointing news, since it's been a work in progress for quite some time now. Like, now what? Will Four Men ever see the light of day? This is also more disappointing because I never knew how solid the cast was. What could've been, indeed. I wanted to see it for azzo's one-woman show: director, writer, lead actress, singer, prop...so disappointed. Huh. I don't care for Park Hae Jin, but I hope Nana finds a new (and good) project soon. Wait.. WHAT? NOOoooo! They can't do this, no, no, no! WHY? I was so excited to have Oppa, Oppa, Oppa and Oppa back on my screen but now what? I guess I'll just have to go and finish writing that script! To be honest, I was worried for Jo Hyun-jae. I like him a lot, so phew, he's safe from azzo now. To think that this happened to Jo Hyun-jae twice in two consecutive projects 😭😭😭 First the one who was supposed to be with Jang Na-ra and now this. Dang! You're right. I'd forgotten that that detective drama was shot out from under Jo Hyun-jae a while back. The final OST for Four Men is out on my wall. I was suppose to have a cameo role!! Noooooooooooooo! Why, SBS? Why? They should have at least been convincing with their press release. Just like that? Huhu. Oh well. Why does it seem like actual kdrama drama befells Park Hae-jin?? I guess I'll just have to wait for his next drama then. Yeah, this is a pretty not classy move by SBS. They've had months to think about this and could have pulled the plug long before, say, the entire cast was confirmed. The actors have already begun to prepare for their roles in many cases. Not just Park Hae Jin, but I read that Nana had already started judo training for her cop character, which I was really looking forward to. There are so many articles recently about the sketchy, political behind the scenes stuff going on at the big networks what with the MBC and KBS strike and the Park Geun Hye artist black list. There was an article just yesterday about how SBS had been pressured not to hire two actresses who were on said black list. My point being it's hard to know what's going on when weird decisions like this are made, but there's no good reason to give the benefit of the doubt to SBS. Or as I like to think, if your siding with the bully corporate overlord over the relatively powerless actor(s) in cases like this (or the Cheese in the Trap nonsense), then you are probably on the wrong side. I do think there is a better than usual chance this ends up at another network. jTBC seems like a natural fit, and it seems like it was in discussion with SBS to begin with only because SBS contracted director Oh Jin Seok was on board. I don't think this move has anything do with PHJ but the poor financial choices of SBS. Not sure why people are stirring up stories to make it seem like PHJ should be hated. At the end of the day the network is at fault with this mess. I hate when commenters demiss people's opinions by claiming if you're a fan therefore you don't have a right to speak up against an issue regarding an actor. It's makes me think these people are bullies who act like that in real life. The bully theory... agree big time! NOOOOO!! PHJ should've pulled a Jung on SBS and scare them shitless at the mention of cancellation. I wasn't really excited for the plot... But I would've watched it for PHJ anyway. Bummer! Dumb question - why are some unregistered users' font in black, while other unregistered users are in gray? It's pretty confusing for the reader. I wish it were all in black, the gray strains my eyes. Lol, luckily I am back to typing on my phone so here goes: some colorful emojis just for you...💬💭👟👓🌑☁️📹🎥📼🔊🔉🔈📞⌚️🔎🔍✉️📁📂📎📏📐. OopsoO should'a used more color with that!!!! Or maybe even better I should encourage the outside Korean world to get a dramabeans acc!!! What do you think should I start with rocket-man?🚀lolololol!!!! Tbh the darker writing in some unregistered commentors are actually registered, avatar-less, account holders!!! How did the UI, user interface not IU, the singer-actress — that's for me I keep on making that mistake, for my black and white emojis suddenly change to colored-ones. The blue are red looks pretty cool❤️!!! SBS is notorious on blacklisting actors/actress , i just hope they did not blacklist him because he loves China , he just donated recently to a feed the hungry children program in China then a week later , we read the news that they are not broadcasting it at all. Oh well politics everywhere! Whaaattt???!!! Nooooo!! How could they do this to my OPPA?! SBS, u better straightened this out soonest or there gonna be an army of crazy fangirls on ur doors for months!! this is the 2nd time Park Hae Jin drama is being canned. Isn't this what happened to another one of Park Hae Jin's project? Was it Man to Man? At the end, Man to Man ended up getting picked up by a cable TV network cuz it was initially dropped from the public network? It's back on, with Lee Ki-woo instead of Jo Hyun-jae, though!